Our olive oil soaps are made in small batches using the cold-process method of soap making which retains glycerin, the perfect combination of skin pampering oils. Each handmade bar is approximately 4 ounces and comprised of pure vegetable oils with essential or fragrance oils--no coloring or preservatives are used. The soaps cure for at least four weeks to ensure a mild and long lasting soap. Each bar is attractively wrapped in decorative paper which allows the soap to breathe. The wrapped soap is perfect for personal use and gifts as well. Four bars of the same scent unwrapped soap bundled together in an eco-friendly brown bag at a discounted price. New! Eight bars of the same scent unwrapped soap boxed up for easy storage. Super way to save money! After a day in the kitchen, your hands need to be rejuvenated! Poppy seeds gently scrub, lemongrass and citrus oils remove odors, and oatmeal will soothe sore hands. Feeling crabby? Lemongrass, citrus, oatmeal, and poppy seeds will leave your hands fresh & clean. Scrub away a day in the barn with the combination of cinnamon, coffee, pumice, and sweet orange oil. Pamper your pup! Peppermint. lavender and lemongrass essential oils to leave your canine companion smelling fresh and clean. Tea Tree oil soap is made from our wonderful soap base with pure Tea Tree oil added to make it extra special for your skin. 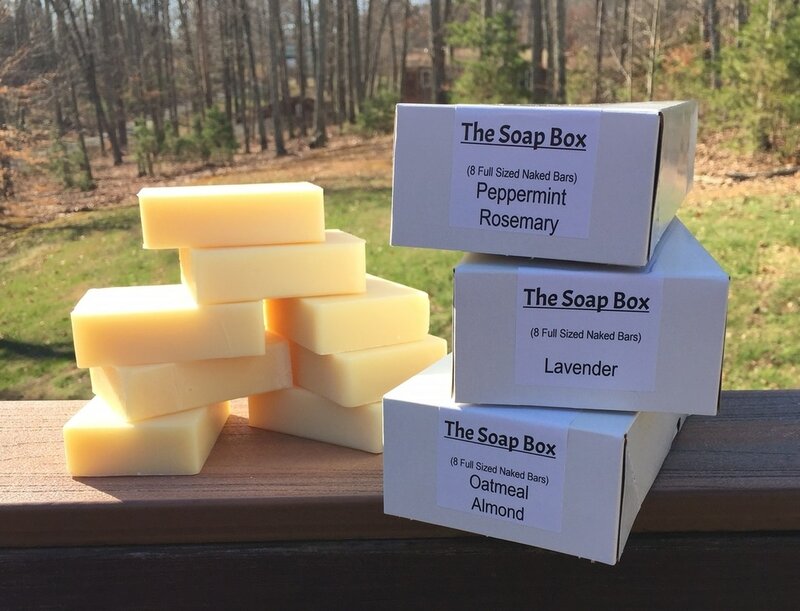 After a walk in the woods, wash up with this soothing soap! Jewelweed is the magic ingredient that just might make your outdoor adventures problem free. Handmade soap crafted with our own home brew! Lightly scented with a custom blend of essential oils. Why beer in soap? Beer creates such a nice bubbly lather that your skin will love. 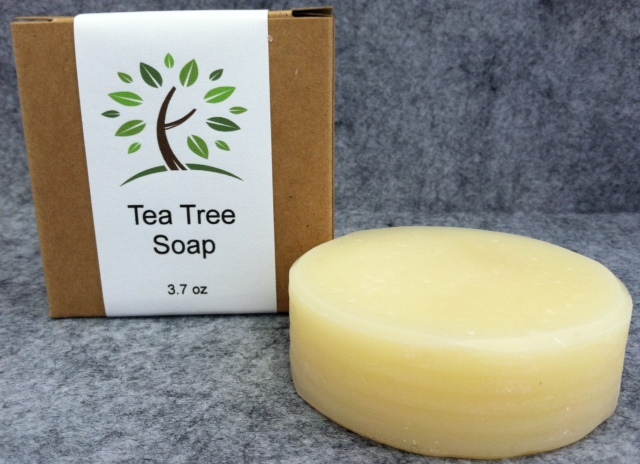 Wash away your natural odor with this scent free soap before heading to the woods.